Have you noticed any leaking from your boiler? If so, it’s a serious problem; it can indicate an issue with the seal or valve. It’s also a sign there could be cracks in your boiler. Whichever the reason is, the fact remains this can turn into a dangerous situation in a matter of time. That’s why it’s important to fix boiler cracks the moment you notice them. A boiler sealer can fix this issue; it comes in either a liquid or powder form. In this article, we’ll show you how to use it to seal the holes and cracks in your system. Keep reading below to learn how to do it the right way. Sealants are harmful when inhaled and they shouldn’t come in contact with your skin and eyes, as well. If possible, work on your boiler in a well-ventilated area. At the least, you should wear a mask to prevent inhalation. You should also wear some gloves, work goggles, and clothing with enough coverage. You can never be too safe when handling chemicals, but if you do get some on your skin, wash the product off with some soap and water. Liquid boiler sealants are already ready for use, but you have to mix most powdered solutions with water first. Some of the powder sealants, however, are ready for use in its powdered form. Make sure to read the instructions first before you proceed. The product packaging should also have instructions on how to apply it. Nonetheless, here are the general steps you need to do. These will differ, though, depending on the age of the boiler. For new boilers, you have to put some water into it first while running it with the normal temperature. Make sure to remove the safety valve or fitting, as well. Then, you can pour the solution into the boiler. The amount in quarts depends on the recommendation of each specific product. You would usually need 1 quart, but make sure to check. Close the opening and then fill the system with water. Circulating it should then help the sealant to locate the cracks and seal them. The way it works is it forms into a solid mass when it vaporizes through the cracks and holes. The heat from the boiler further solidifies it, reinforcing the seal. After the seal has formed, it should be able to contract and expand along with the boiler. The process is a little different when you’re applying the seal on an existing steam boiler. You’ll have to fill it with water until it reaches 1/2″ above the crack. You can then pour the sealant in an opening near the leak, but if there isn’t any, you can use the safety valve. Then, close it and apply pressure until it reaches the maximum allowance. This will allow the seal to work; until then, maintain the same pressure. Again, products should have the instructions on how to store it the proper way. In general, you should store it in a cool, dry place away from other chemicals. If you need to throw away the empty container, check the instructions again. Review the local regulations on how to dispose of it the safe way, as well. Working on a boiler can be scary; one wrong step and you might mess up with the whole system if you don’t have proper training on that stuff. This is why it’s advisable to call a professional instead. This saves you the hassle and stress of locating the crack and then applying the seal. What’s more important, though, is that you also prevent further damages from happening. Do note that calling a professional will be more expensive than doing it yourself. But, it’s worth every cent if you’re not at all comfortable with fixing your own boiler. It allows you to have some peace of mind knowing the boiler is getting a proper fix. Plus, you won’t worry about paying excessive bills, which you might otherwise incur if you attempt to DIY. 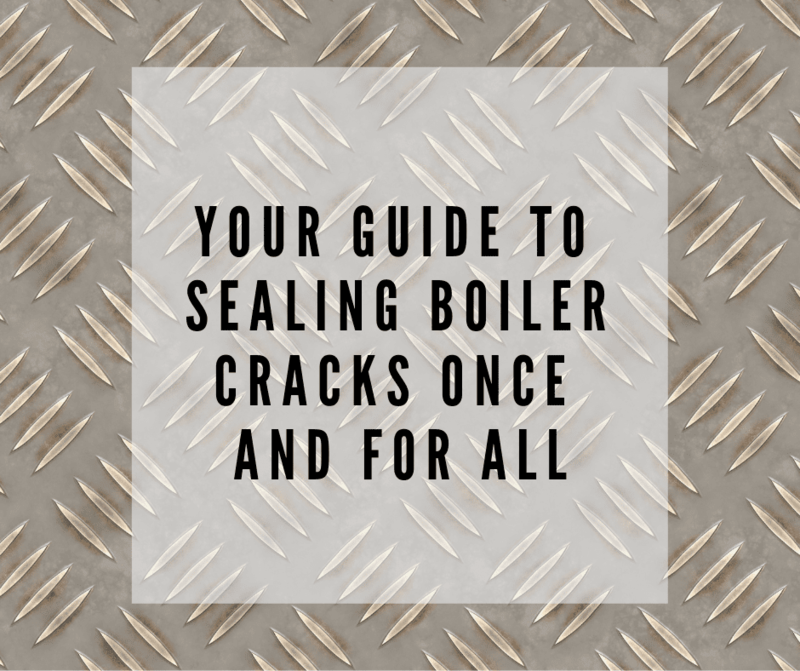 Sometimes, sealing cracks is not the best and cheapest way to solve a leaking boiler — it’s doing it right the first time. This can mean you have to replace the boiler depending on the assessment of your contractor. In fact, some contractors would suggest replacing the boiler when cracks form as it can be more troublesome to try to repair it. Most crack sealant products would only provide a temporary solution, and some won’t even work at all. In line with the previous tip, ask a professional for help. They will be able to assess the situation better and then provide a permanent solution. In some cases, you might even need to replace the whole system altogether, especially if it’s quite old. Replacing a single part can lead to more problems later on, which is why it’s often recommended to replace the boiler system in whole instead of swapping out parts. If you don’t need to replace them all, though, make sure the other parts are still in good condition. If you’ve used a liquid sealer prior, be sure to use the old boiler to flush the system with a cleaner first. It coats all the pipes and everything else, which reduces the heat output. You don’t want it going into the new boiler. If the boiler cracks are too large to fix with a sealer, you’ll then have to buy a new boiler or a whole system. Whether you need a new boiler for your home or even industrial expansion joints, make sure to only buy quality products to reduce the chances of cracks and such from happening again. Whichever you need, contact us now and let’s talk about the right solutions for you.